Arrive Hanoi. Welcome at Noi Bai airport and transfer to the hotel. Overnight in Hanoi. After breakfast, visit the Ho Chi Minh Mausoleum and his Residence, the house on wooden stilts in the style of ethnic minorities and the One Pillar Pagoda, the National Museum of Fine Arts, and Temple of Literature. After dinner, transfer to Hoa Lo Prison (known as the Hilton during the Vietnam War). Then, a pedicab ride to the old neighborhood. In the evening, enjoy the water puppet show. Overnight in Hanoi. After breakfast, leave Hanoi by road for Halong Bay with a stop en route at But Thap Pagoda in Thuan Thanh Province, known for its four-storey stone stupa and referred to as Vietnam’s first Buddhist centre. The pagoda, built in the 13th century and rebuilt in 1647 by the Buddhist monk Chuyet Chuyet, is a complex of ten buildings over an area of 100 metres that houses ancient statues and artefacts. Enjoy the journey through the rich farmlands of the Red River Delta and the scenery of rice fields, water buffalo and everyday Vietnamese village life. 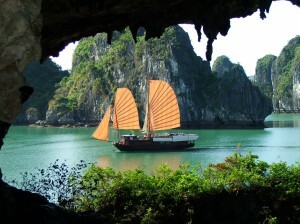 Arrive in Halong and board the Bai Tho traditional sailing junk. Whilst cruising the exquisite waters sample the regions fresh seafood. Visit the recently discovered Surprise Grotto with its great views, and on the next island see the yawning mouth of Bo Nau Cave. Alternatively journey to Dau Go Cave and nearby see the famous stalagmites and stalactites of Thien Cung Cave. Enjoy a swim in the emerald waters of Halong Bay at any spot that you wish to visit. Watch the sun set over the bay whilst enjoying a delicious dinner. Overnight on junk. Breakfast on junk after Tai Chi Excersie with our professional teacher. 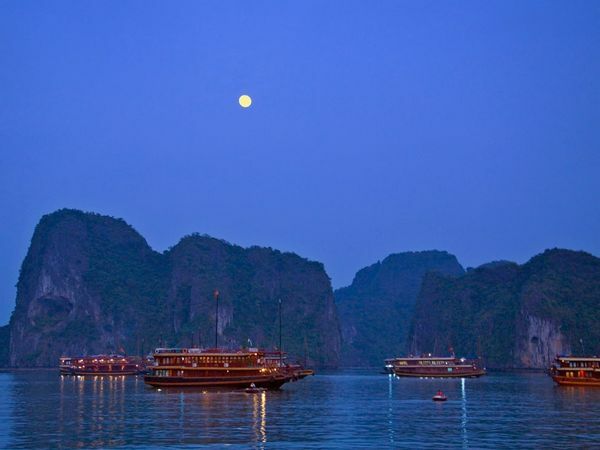 This morning we will take 4hours cruise to explore Halong Bay ( most of the islands are uninhabited and untouched by man. The ancient Vietnamese believed that Halong Bay was where a giant dragon “descended into the sea”, as the rocky outcrops resemble the humps and scales of a dragon’s back. Another legend says that the giant limestone rocks themselves are dragons, protecting Vietnam from hostile invaders. In fact the bay was formed as a result of millions of years of erosion on the limestone rocks. Then when the last ice age finished, the seas rose as the glaciers melted, flooding the entire area transforming hills into the islands we see today. Lunch will be on board. After lunch , back to Hanoi. Free at leisure for shopping. Relax at hotel then dinner. Overnight train to Hue (SE1 : 19h00 – 07h57 : 13,5 hours). Overnight on train. Arrive in the morning at about 8am. 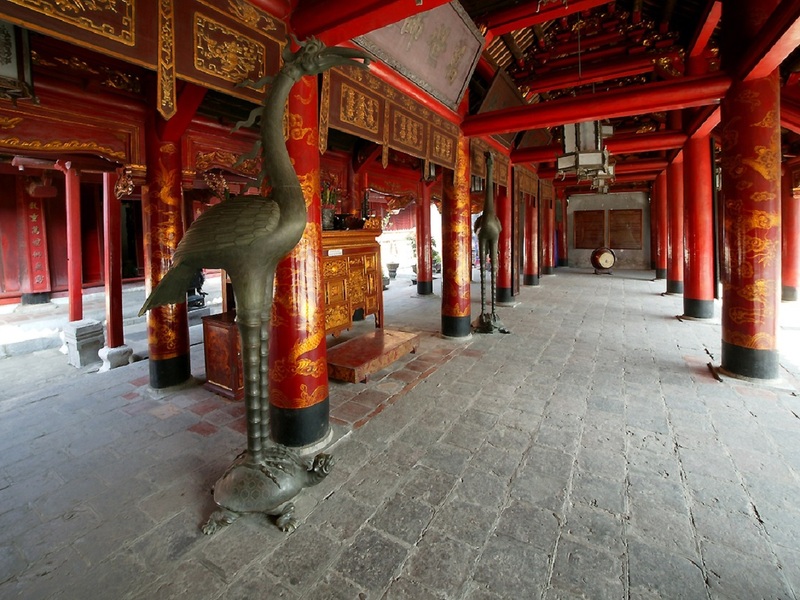 Upon arrival, visit the former Imperial Citadel. A short visit Dong Ba market. Afternoon visit Khai Dinh and Tu Duc Mausolem. Tonight you have the chance to enjoy a royal dinner after boat trip with Traditional music on Huong River. Overnight in Hue. Boat trip visit Thien Mu pagoda and Minh Mang Mausoleum. Go to Danang at noon. Transfer to Da Nang (110 km). Arriving at Da Nang by Lang Co fishing village and Hai Van Tunnel, you’ll get a brief overview of the remarkable Hindu statuary in the Cham Museum before leaving for Hoi An ancient town (35 km) – an example exceptionally well preserved example of a Southeast Asian trading port of the 15th to 19th centuries. In the old neighborhood, there are more than 1000 relic sites. Overnight in Hoian. 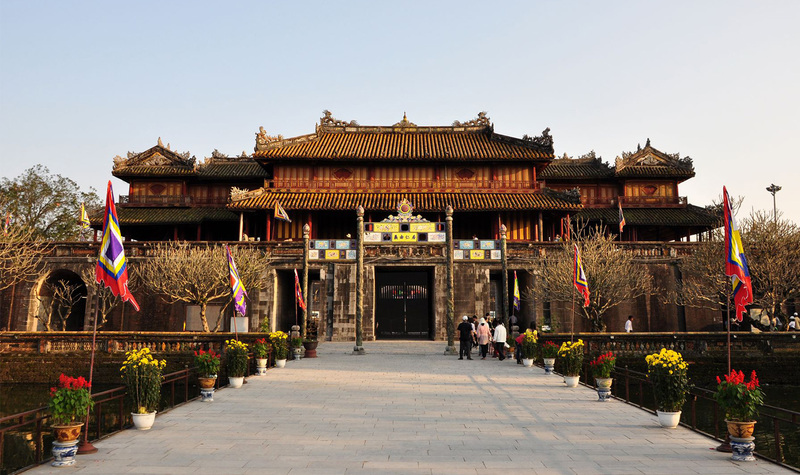 Embark on a walking tour of the charming town of Hoi An, visiting an old merchant’s home, the Japanese Covered Bridge, Tan Ky and Phung Hung Ancient House, Phuc Kien Assembly Hall. Lunch and dinner freely. 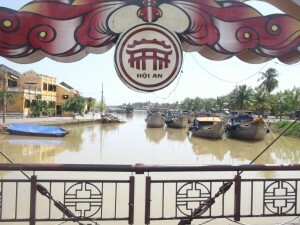 In the afternoon, free exploring Hoian and admire its nightlife in the evening. Overnight in Hoian. 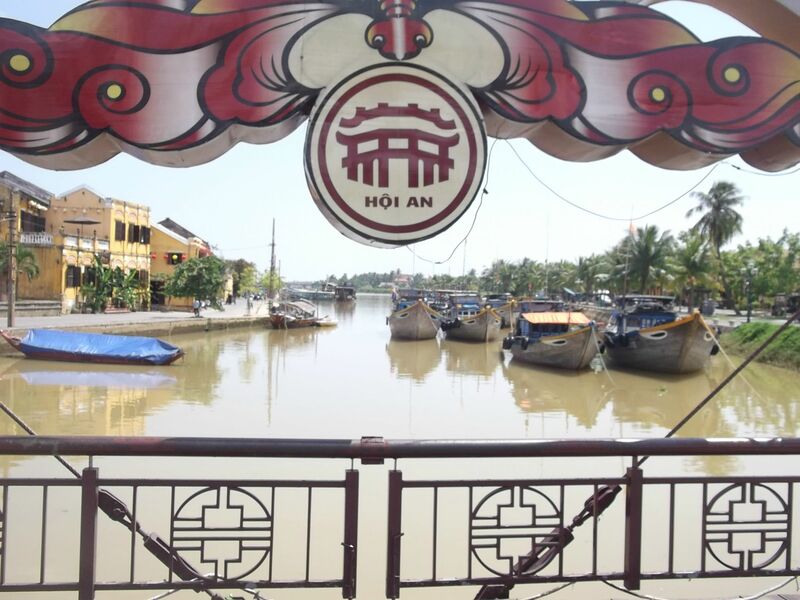 Free on your leisure by swimming on the beach or walking or cycling around Hoi An Old Town to feel it by your way. Overnight in Hoian. 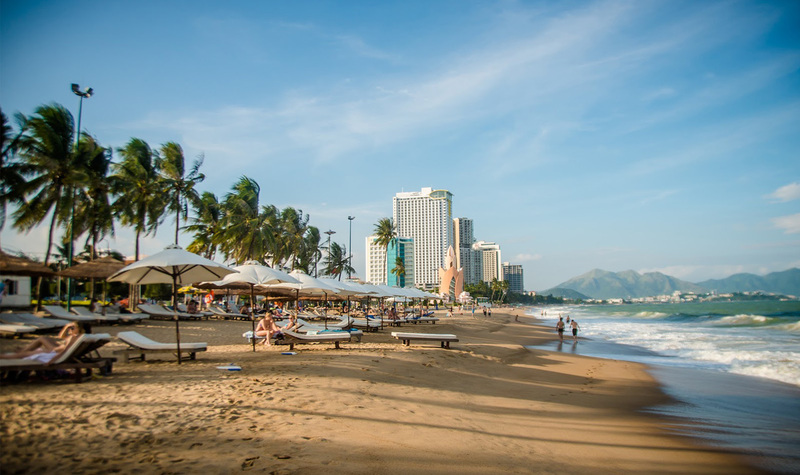 Free time in Hoian, then transfer to Danang in the afternoon, on the way you will have chance to take photos on Danang Beach – which has honored as one of 5 most beautiful beaches on planet. Transfer to Danang train station for overnight train to Nha Trang city. ON on train (SE7 21h41pm – 7h37am). Arrive at Nha Trang train station at 7h30 – 7h45am. Car & guide pick you to Thap Ba Hot Spring for Mud Bathing and visit Cham Ponagar tower. 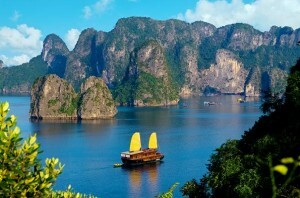 Car & guide pick you to the port for island cruise in a day : Tri Nguyen Aquarium, Mun Islet, Mot Islet, Tranh Beach. Free enjoying and meals. Overnight in Nha Trang. Arrive in the early morning. Breakfast and relax for a while at hotel, then begin your day with the Notre Dame Cathedral and Central Post Office to view the French Colonial architecture. 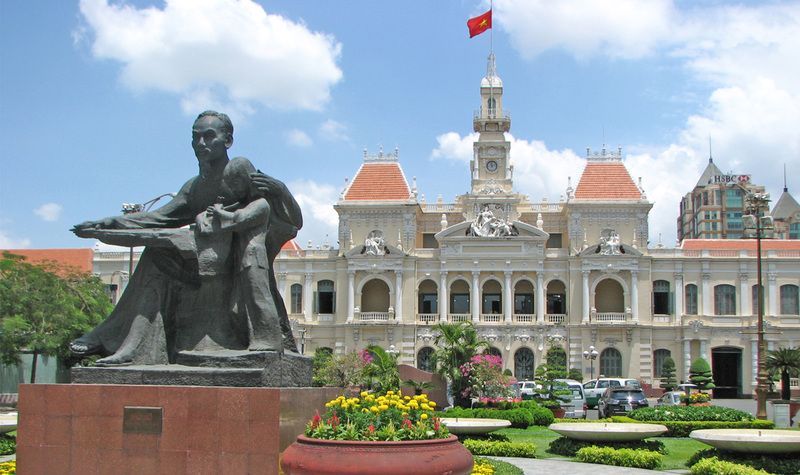 Learn more about the American War in Vietnam with a visit to the Reunification Palace and War Remnants Museum. End the day at the lively Ben Thanh Market where you can indulge in some shopping. Overnight in Saigon. After breakfast in hotel, transfer to My Tho by coach and boat trip on the Mekong through orchards where you will have the chance to visit families making workshops coconut candy, fruit gardens. A dinner and tasting of local seasonal fruits. 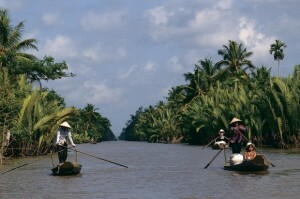 Then transfer to Can Tho, the center of the Mekong Delta. Overnight in Can Tho. Walk to the pier Ninh Kieu for sampan trip to Cai Rang floating market with the decision to plant Bun Tau noodle factory and dericotage rice. In the floating markets, you will discover a typical way of displaying and advertising of agricultural products villagers who meet on the Mekong river to trade their goods. Transfer to Chau Doc. Upon arrival, check into the hotel. Then, boat trip to visit the unique farms where fish are bred in cages suspended under floating houses on the river wood. Continuation visit a village of stilt houses Cham minority. Overnight in Chau Doc. Aboard ship to GrandeVitesse to Phnom Penh. The visa prendrontenviron 45 minutes to the Cambodian border and visa must be issued in advance, because it is no longer available for border gate today. Upon arrival at Phnom Penh, welcome by the guide, transfer to hotel. Afternoon we visit the Genocide Museumand the Killing Fields. Overnight in Phnom Penh. Visit the private apartments of the Royal Palace are the royal family. North of the Palace is Silver Pagoda, the most sacred temple in the country. We visit both structures as well as the National Museum enjoying splendeuse Khmer history. Then we climb a small hill to visit the legendary Wat Phnom and catch a fantastic view of the city. Transfer to Pochentong airport for flight to Siem Reap. Welcome by our local guide and transfer to hotel for installation. Overnight in Siem Reap. 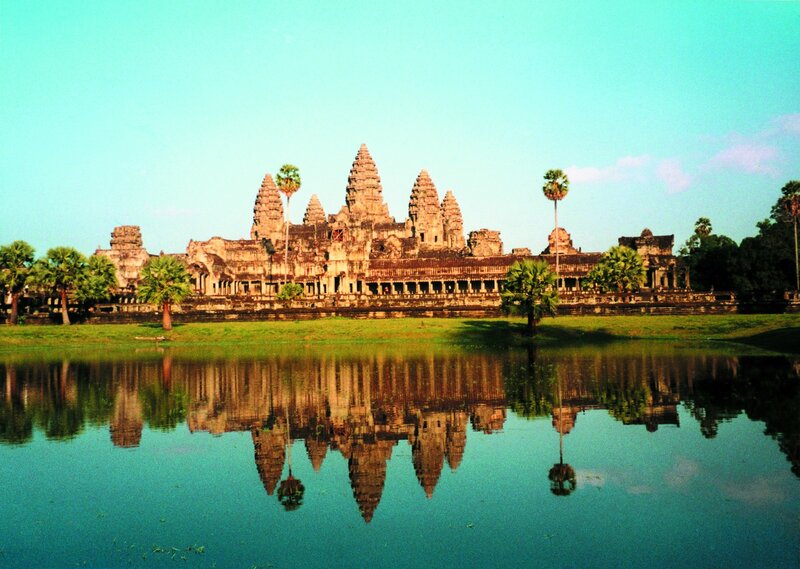 Siem Reap is our base for exploring the world famous temples of the ancient city of Angkor. Visit the most striking structures: the South Gate of Angkor Thom which is famous for its series of colossal human faces carved in stone, the impressive Bayon Temple, the Royal Enclosure, Phimeanakas, the Terrace of Elephants, Terrace Leper Kingetc.. 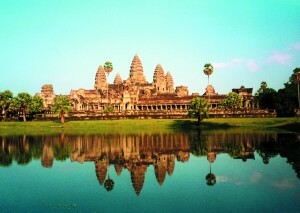 Afternoon we visit the chef – Lumber architectural Angkor Wat. We stroll around this massive monument to explore the many galleries with columns, libraries, pavilions, courtyards. Overnight in Siem Reap. In the morning we continue enchanting Banteay Srei Temple, favorite of almost everyone. Then we visit the jungle canopy, the Temple of Ta Prohm. Exploration of the famous Ta Prohm temples and nearby, including Banteay Kdei,Sra Srong, Ta ​​Keo, Chau Say and Thommanon Tevado. Free time for leisure at the local market until transfer to Siem Reap airport. Flight to Bangkok. ON in Bangkok. 07.00 Pm Pick up from hotel ,transfer to Pier for Trip itinerary for Phi Phi island tour by cruise. dessert are service on board. for sightseeing or shopping on Phi Phi Don island. 08.00 Am Pick up from hotel. Drive along scenic beach roads via Patong, Karon, Kata. Visit to lookout point Promthep Cape.Visit to Chalong Temple. – All train tickets (soft sleeper bed): Hanoi-Hue, Danang-Nha Trang, Nha Trang-Saigon.